Shipping out a bunch of orders at once? Use the bulk edit tool to batch your process. You can hold down the Shift key + click on the first and last order in the list to select ‘em all at once. Got a lot of orders to manage at once? Check out the bulk edits feature to streamline your process. 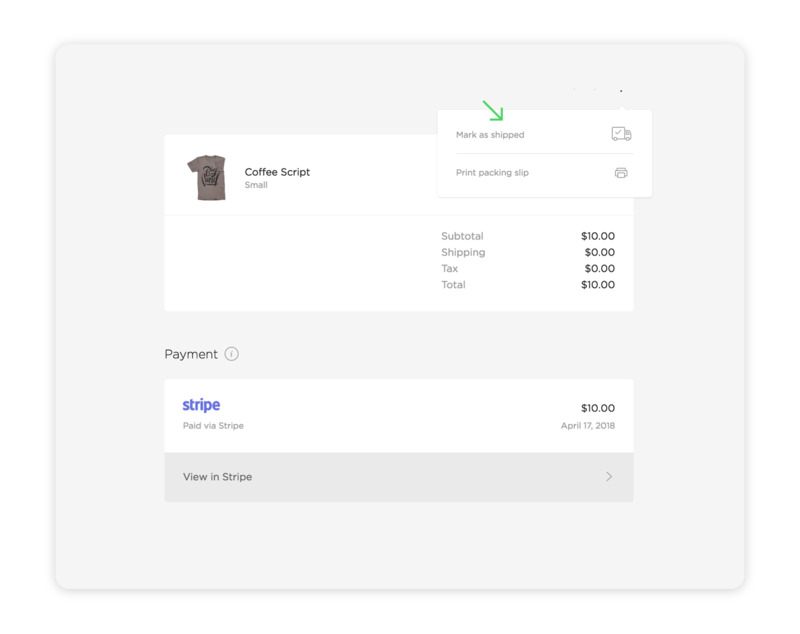 Click Mark as shipped on any order. Or, click the icon again to mark it as unshipped. To mark all orders as shipped, click the action menu in the top right corner > Mark all shipped. 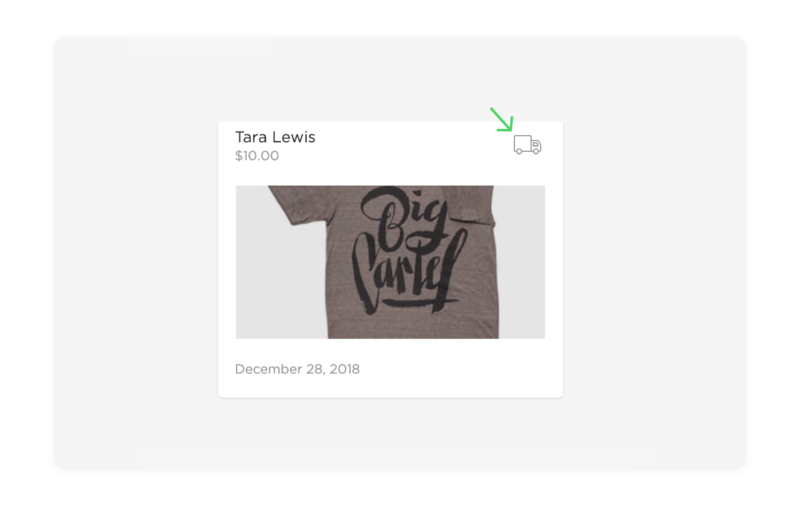 Tap Mark as shipped on any order. Tap again to mark it as unshipped.